Our environmentally friendly WATERLESS WASH & SHINE saves water and contains no harmful chemicals. NanoFusion technology and Nano-polymers are the key to its performance. There are so many times that a complete traditional washing is not needed. Our WATERLESS WASH & SHINE is the answer. For all of you who never put water on your classic cars…give it a try. You’ll love it! Always apply WATERLESS WASH & SHINE with a damp microfiber cloth. This allows the cloth to pick up dust and dirt without scratching your finish. Then lightly buff with a clean, dry microfiber cloth to produce that spectacular shine that S3FUSION is known for. S3FUSION WATERLESS WASH & SHINE dries quickly and never streaks. It reduces friction by producing a surface which is so slippery that dust, dirt, and grime can be easily removed saving time and energy and water. Special surfactants lift and capture the dirt while depositing a special blend of Nano-polymers which produce a beautiful shine. 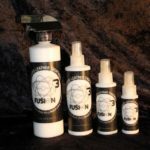 S3FUSION™Waterless Nano Wash & Shine contains a special blend of extremely small Nano-polymer molecules plus special surfactants that dissolve and lift the dirt and grime on your vehicle. Environmentally friendly, and containing no harmful chemicals, you save water. There is no need to rinse your vehicle first. And, there are no soap suds to remove, no water to dry, and no water spots to worry about. 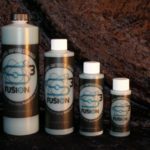 S3FUSION™Waterless Nano Wash & Shine makes it easy and fun to clean your vehicle! which produce a beautiful shine using our Patent Pending Nano-Fusion Technology. Since it contains no abrasive chemicals it will not make a dull oxidized finish shiny. 1. Use a damp microfiber cloth. Have a small container with 1 – 2 liters of water in it to rinse out your cloth as it becomes dirty. 2. Spray a small amount, 4 – 5 sprays, of S3FUSION™Waterless Nano Wash & Shine directly on to the surface of your vehicle. You can also spray it directly on the cloth. Apply to a section at a time to remove the dirt and grime from each section. It is a good idea to rinse your cloth out often in the water so that dirt in the cloth does not produce micro-scratches. Change the water if you have to. Once you have cleaned a section, do that same section one more time to make sure that you have thoroughly cleaned it. 3. Buff each section by hand using another clean microfiber cloth to bring out a spectacular shine, and continue to spray, wash, and buff until the entire vehicle is done. It’s that simple! 4.For even better results, use S3FUSION™Professional Polish after using S3FUSION™Waterless Nano Wash & Shine to create a brilliant, better than showroom shine and deep luster finish. 5. S3FUSION™Waterless Nano Wash & Shine can be applied in the sun or shade. But, shade is always best. Caution: Do not use this product on steering wheel, gas pedal, break pedal, or any floors; they may become very slippery and dangerous. If over-spray occurs, reaching the floor, use a floor cleaner or a detergent to remove. Keep out of reach of children. Can irritate the eyes.